This is the most baffling sports medicine story of the year: Thirteen NHL players and two referees have been diagnosed with mumps—a potentially severe and exceedingly viral infection that classically causes fever, body aches, malaise, and in about half of cases, parotitis (a painful swelling of the salivary glands). 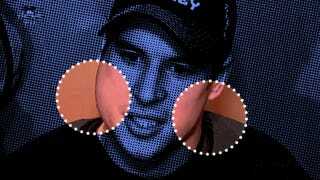 It's gotten so bad in the NHL that Sidney Crosby set off a mumps alert last week when he spoke to reporters with a welt on his face. (On Sunday, the Penguins confirmed Crosby does indeed have the disease.) So what's going on? The story of this outbreak appears to have begun in early November, when Anaheim Ducks defenseman Francois Beauchemin noticed a swelling in his jaw after a game against the Arizona Coyotes on November 7th. A few hours later, he developed a fever, chills, muscle aches, and lost his appetite. Four days later, he was ten pounds lighter. By then, the virus was spreading around the Ducks locker room. Three of his teammates would catch the disease before it leapt to other teams: the New Jersey Devils, New York Rangers, and the Minnesota Wild, where five players came down with mumps, including all-star defenseman Ryan Suter. "Ten percent of our team population contracted it," Minnesota Wild general manager Chuck Fletcher recently said. "As far as I know, everybody received the immunization when they were young." If that's true, what's the explanation? We know that the mumps vaccine unquestionably works—cases in the United States declined by 99 percent following its introduction in 1967—so why is an outbreak in hockey happening now? Before we speculate, it's useful to know a bit about disease transmission, particularly because it's such a rare disease—I've only seen it a handful of times. Most kids are vaccinated against it twice; first at the age of 1, and again around the age of 5, when they receive the MMR vaccine (measles, mumps, rubella) before starting kindergarten. Mumps is spread in respiratory droplets, often in the form of a sneeze. Symptoms can take up to three weeks to develop, which means many players might have the virus in their body today but won't know it until tomorrow. Or next week. (It's similar to what we saw with the doctor who went jogging and bowling while the Ebola virus was festering in his body). This makes it exceedingly difficult to identify and quarantine the hockey players who feel fine but are potentially spreading the disease—players who were immunized as children and, in theory, should be protected. Dr. Judith Aberg, chief of infectious diseases at Mount Sinai blames the outbreak on the nature of the game. "You see the hits that they have, and sometimes the spraying of saliva," she recently said. "I think they are high risk. I am surprised we haven't actually seen this before." Saliva spray may be part of it, but there's plenty of that at the line of scrimmage and you don't see the NFL dealing with a mumps outbreak. (The NFL has its own outbreak problems.) A more complete explanation of hockey's mumps conundrum involves something called waning immunity. Put simply, the vaccine loses strength over time. We know this because of some fascinating observational studies from the last major mumps outbreak. In 2006, thousands of college kids in the Midwest became infected with mumps, despite the fact that most had received the vaccine. This phenomenon is called vaccine failure, and scientists divide it into two categories: primary and secondary. Primary vaccine failure occurs when the body doesn't produce antibodies in response to the initial immunization, but this is relatively rare with the mumps vaccine. Secondary failure occurs when the body fails to maintain an adequate level of antibodies, despite having an initially strong response to the immunization. This is what we're seeing in the NHL. Back in 2006, researchers found that college students who came down with mumps had been immunized more than ten years earlier than roommates who didn't contract the disease. A subsequent study confirmed this, revealing that protective antibodies were much lower in students who'd been vaccinated fifteen years earlier compared to students who'd been vaccinated just five years earlier. The takeaway here is that the mumps vaccine works, we just don't know how long it works. Epidemiologists see evidence of waning immunity all the time. Last year, nearly one thousand Brits came down with mumps and half had been vaccinated. This year in the United States, a massive whooping cough outbreak caused by a bacterium called Bordatella pertussis popped up in people who received the pertussis vaccine. These findings have prompted experts to rethink the current vaccination schedules. We need a flu shot every year, do we need other vaccines just as frequently? So what do we do about the situation in the NHL? Many teams have offered a mumps booster to its players. (The Islanders and a few other clubs also offered it to staff.) But not everyone affiliated with the NHL has received the shot, and that is what's keeping this thing going. To contain this outbreak, every player and team staff member—even the guy on the Zamboni—should be offered the mumps booster vaccine in conjunction with a consultation by a physician. It should've happened weeks ago. Matt McCarthy is an assistant professor of medicine at Weill Cornell Medical Center and author of the forthcoming book The Real Doctor Will See You Shortly. Follow him on Twitter.